The principle of specificity states that sports training should be relevant and appropriate to the sport for which the individual is training in order to produce the desired effect. Additionally, training should progress from general conditioning to specific training for the particular skills required in that sport or activity. Essentially, specificity training means that you must perform the skill in order to get better at it. It is the principle behind that old saying, "practice makes perfect." In order to perform most sports and physical activities, you need a base level of fitness. Whether you play soccer or basketball or you are training for a marathon, you need aerobic conditioning. It is an essential component of any athlete's general training. The specificity principle of sports conditioning comes into play when an athlete wishes to excel in a specific sport or activity. Your training must go from highly general—lifting weights and cardio—to very specific so it includes performing that exercise or skill. To be a good cyclist, you must cycle. 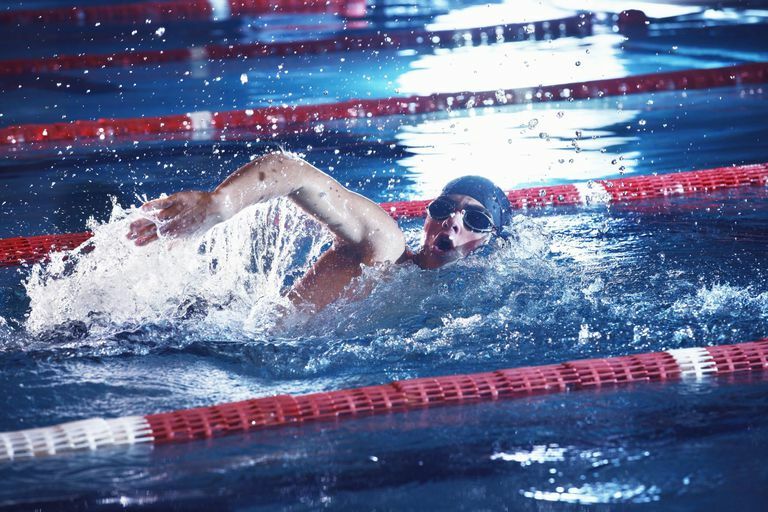 A runner should train by running and a swimmer should train by swimming. In sports that require a wider set of skills, a training program may break down different components so you train specifically for each one. For example, in baseball you would train for batting, catching, throwing, or pitching. In basketball, training would consist of agility and bursts of speed as well as shooting accuracy. The training mimics the action and skills that will be needed in the game or activity. It may concentrate on any combination of fitness components, such as strength, power, and endurance. For instance, while a marathon runner will train more for endurance and strength, a weightlifter is more concerned with strength and power. The primary goal of specificity of training is to condition the muscles that will be used in the activity. Over time, you develop muscle memory for specific actions so you can perform them without having to concentrate on them. As you train, you are able to master skills you will need and learn the best form to use. You can also progress to learning variations of those skills, which may be even more useful during a game or activity. If you are training to run a race, for instance, you will work on your speed and endurance. But you also want to train under conditions that will mimic the race itself. This includes training in the same sort of terrain with hills, pavement, and weather conditions to build up to the distance and pace required. While you could simply run on a treadmill, that would not prepare you mentally and physically for the varied conditions you will find in a road race. A well-designed training program does not neglect aspects of fitness that aren't specific to a sport. You still need to maintain overall fitness and balance the development of opposing muscle groups. If you focus only on drills and skills specific to your sport, you may end up unbalanced. This may inhibit your athletic ability and performance in the long run. Everyone is unique, so training must be adapted to each individual. n order to improve your fitness, you need to increase the stress or load the muscles are exposed to. As your fitness level improves, your training should become more difficult and the workload greater. Your body's ability to adapt over time to an increase in exercise can dictate your training. To maintain conditioning, you need to keep using your muscles. Training for a particular athletic activity. Once put together, the most logical training program involves a periodized approach which cycles the intensity and training objectives. The training must be specific not only to your sport but to your individual abilities. This includes your tolerance to training stress, recoverability, and outside obligations, among others. It is also important to increase the training loads over time, allowing some workouts to be less intense than others. Training needs to be regular as well. Sessions should be frequent enough to prevent a detraining effect and to force an adaptation to what you may encounter on game or race day. The best athletic training programs will offer a well-rounded schedule that applies to the principles of sports conditioning. The specificity of your training is going to depend on your sport of choice as well as your individual needs. Keep in mind, however, that developing great athletic skills should not be too focused and should include elements that work on your overall fitness. Kenney WL, Wilmore JH, Costill DL, Wilmore JH. Physiology of Sport and Exercise. Champaign, IL: Human Kinetics; 2015.